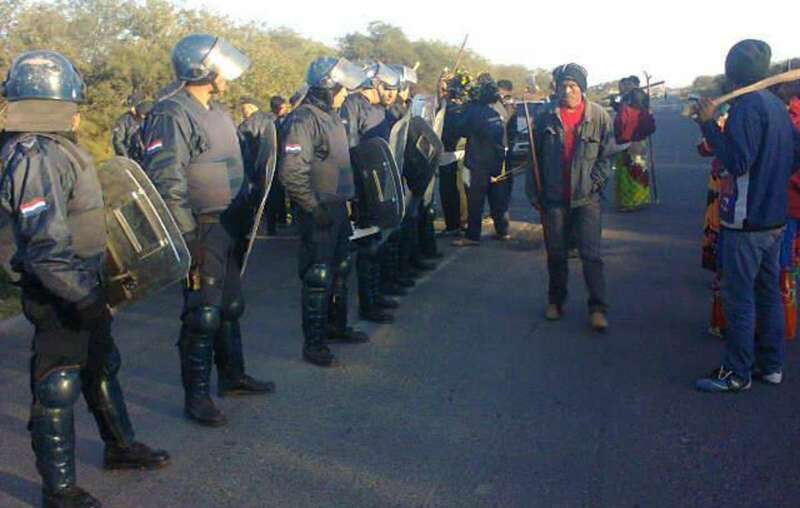 There have been confrontations between the Ayoreo and the Paraguayan authorities in recent years, as the tribe have protested against the theft and destruction of their land. The talks began six months ago after a petition from the Ayoreo tribe to the Inter-American Commission on Human Rights, an influential body which holds governments in the Americas to account on human rights issues. The Ayoreo have been claiming the right to their ancestral land since 1993. Halfway through the year-long process, however, and little concrete action has been taken, leading to fears for the tribe’s long-term survival. A technical study is due to be carried out to assess the feasibility of securing the land. The government has also failed to stop the rapid logging of land owned by the Ayoreo, despite a 2016 emergency order from the Inter-American Commission to protect the uncontacted Indians and halt deforestation. Aerial photograph showing the devastation that logging has brought to Ayoreo land. – The Ayoreo live in the Chaco, which is the largest forest in South America outside the Amazon and has recently been recorded as having the highest rate of deforestation in the world. Experts estimate that the forest lost almost 10 million trees in January 2017. – This poses a deadly threat to the Ayoreo, who face catastrophe unless their land is protected. – Many members of the Ayoreo tribe were forcibly contacted by missionaries between 1969 and 1986. Continual land invasions forced them to abandon their homes. 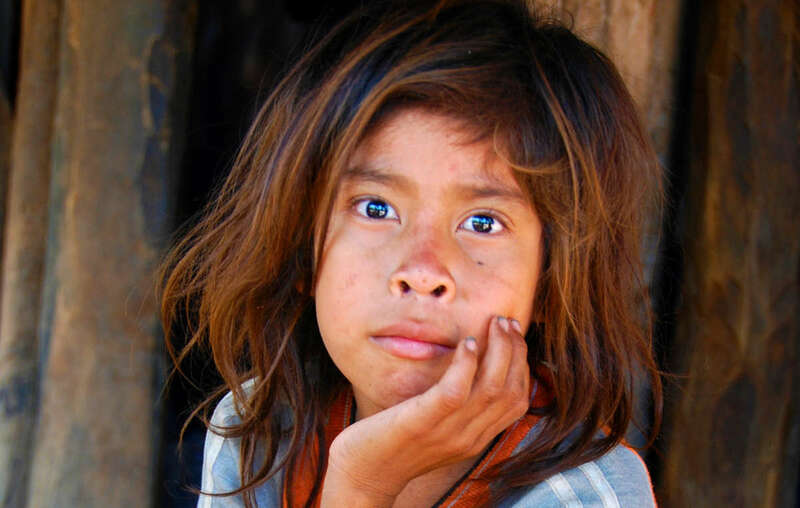 Many have since suffered from disease, including a TB-like illness, poverty, and exploitation on the fringes of mainstream Paraguayan society. – Recently contacted members of the tribe spent years fleeing from bulldozers, which they called “beasts with metal skin.” The machines are used by loggers to clear paths for cutting trees. – The petition which finally brought the Paraguayan government to the negotiating table is called Petition 850-15. It features a claim for the restitution of Ayoreo land. - In February 2016, the Inter-American Commission issued an emergency order (MC 54-13) calling for the protection of uncontacted Ayoreo and their forests. Although this was in response to a separate petition submitted by the Ayoreo, the orders are to also be discussed during the talks. – The local support group GAT, and indigenous organization OPIT, have played an important role in lobbying the government, and after months of warning, finally pressed them to investigate the logging in July 2017. It remains to be seen whether the deforestation will be stopped and the perpetrators brought to justice. 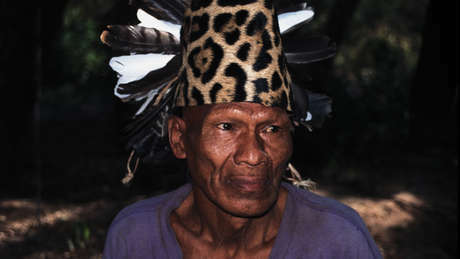 Most of the Ayoreo have been forced out of the forest. They have since been fighting for their land rights. 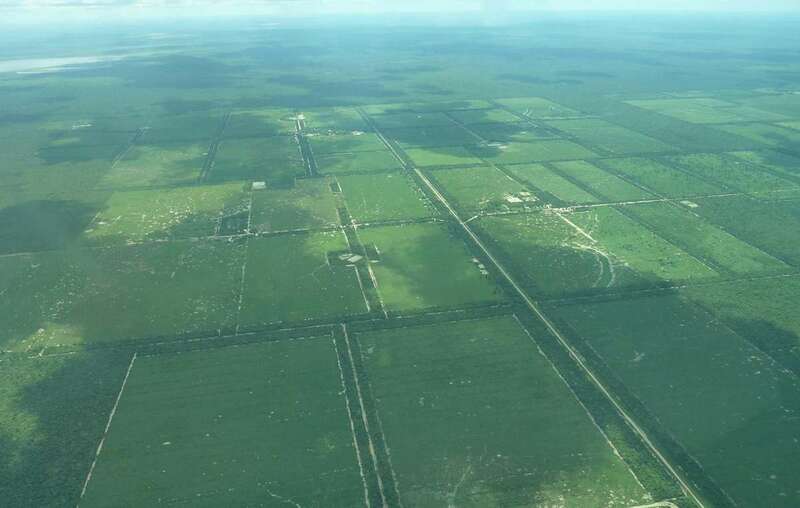 Survival International is calling for a complete halt to logging on Ayoreo land, and for the return of all lands which have been titled to ranching companies. They are the best guardians of their environment. And evidence proves that tribal territories are the best barrier to deforestation.